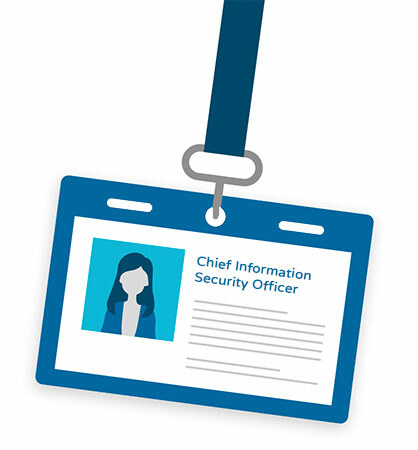 If you're working at a company that doesn't have a senior security lead or CISO, and you are either in a regulated market or selling to large enterprise clients, your company will need to invest in a security program. This can be a great opportunity for advancement, a raise, and career growth. Or maybe you’re the CTO or Head of Product and are stuck wearing the security hat for your company. Congratulations, you’ve reached the top – now you just need to execute! There are industry specific guidelines and open source resources you can reference. Chances are your clients are going to tell you what you are going to need. It’s good to point out that in North America the common security standard for a software company is SOC 2. In Europe, and other international countries, it’s ISO27001/2. Then there are specific frameworks for certain industries – such as FedRAMP for selling into the US Federal Government, HITRUST for selling into US Healthcare. If your clients don’t require SOC2, ISO27001/2 etc. – Great! Your job just got easier and less costly. Unfortunately, getting certified against a framework costs money, time and resources. You are going to want to get a handle on what your core set of clients are requiring and prioritize from there. Note: if you are pre-revenue or early-stage, a common strategy is to try and gate your costs as best you can. Depending on what’s required, you can accomplish this a number of ways. Focus early on ensuring your client-facing deliverables around security can be turned around quickly and completely, clearing demonstrating your security posture and future certification roadmap. The key here is to create a plan and demonstrate what tools and resources you will need to get the job done. Domain expertise to create the required policies, controls and roadmap to certification. Resources to implement the required framework. Tools to help automate and scale your InfoSec program. When evaluating software, focus on how it gets you where you need to be faster and how it provides an opportunity to scale your InfoSec program. What not to do: present a plan that contains manual processes that leans on excel, shared folders, etc. If you don't know much in the way of security controls, find a product that provides guidance on how to implement them, or secure budget to bring in a consultant. Automation – identify how the product can help you successfully scale your program. Domain Expertise – identify how the product can help supplement your team’s security background. Current, Pre-written list of policies and controls that are linked in a common database / system of record, containing implementation guidance is a good start. Certification – identify how the product can get you certified as quickly and confidently as possible. Policy awareness training for your staff. You will need a process that defines how you will go about ensuring that the appropriate policies and controls are being followed. Supporting evidentiary documents should be captured and tagged to the specific policies and controls for ease of reference during an audit. Who is responsible to do what security controls, and when? Where is proof that the control has been implemented? Is the data stored in a central place that is convenient to show to auditors? There you have it. This is a playbook for becoming your company’s security lead: understand your client requirements, plan to scale, and bring in the appropriate resources to get the job done.